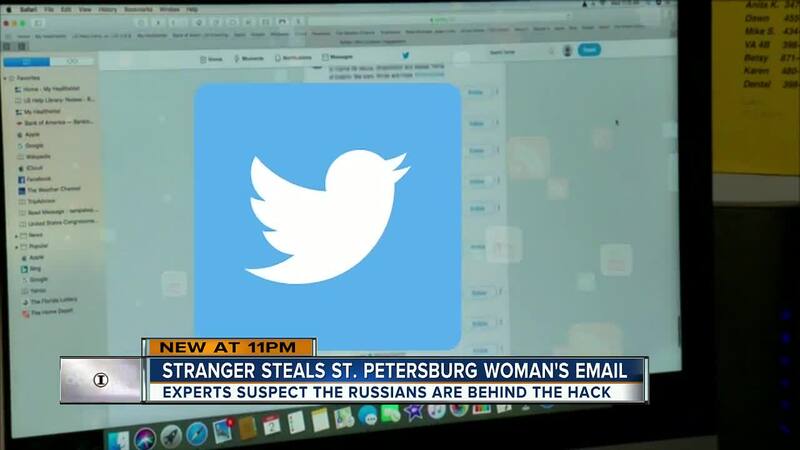 ST. PETERSBURG, Fla. -- A St. Petersburg woman who tried to sign up for Twitter discovered she couldn't, because her email had already been used to create an account by a stranger in Eastern Europe. The Tampa Bay Roadrunner email address she's had for 20 years had been hijacked. “There's thousands of people in Russia doing this stuff,” he said. “I'm a disabled veteran. I want my voice to represent what I stand for. Not for someone that's going to hijack our country,” said Renshaw. The Twitter account with Renshaw's email was created in 2015, but never used. How does an email from St. Petersburg, Florida end up being used to create a Twitter account in Kosovo? Renshaw is far from the only person whose hacked personal information has been used to create a bogus social media account. 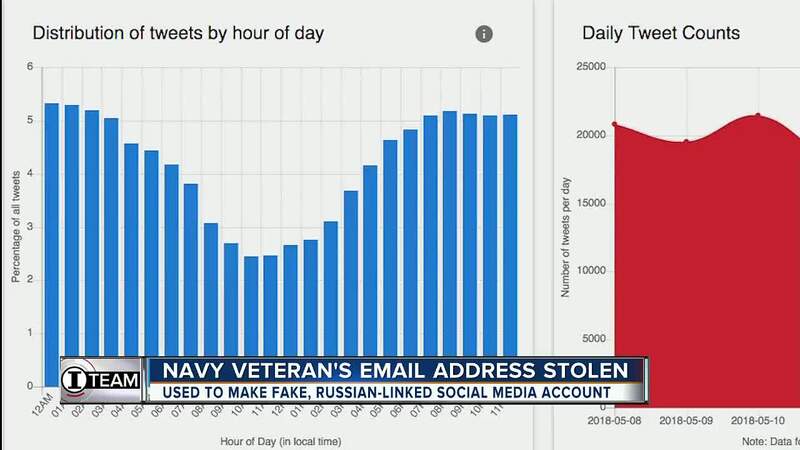 “I would have to say there are probably hundreds of thousands of bogus social media accounts,” said Bret Schafer of the non-profit Alliance for Securing Democracy. His organization started tracking Russian-linked tweets daily on a " Disinformation Dashboard ," after it was discovered Russians were attempting to influence the 2016 elections. “It definitely didn't stop,” Schafer said. Now messages focus on Russian propaganda, sprinkled with socially divisive issues, like gun control, conspiracies or race relations. “What they've done is find the cracks in our society and turned them into chasms,” Schafer said. Some messages instantly get thousands of likes and re-tweets from networks of bogus accounts. Then tweets spread among legitimate users, who they've followed and who have followed them back. “It might be Mikhail from St. Petersburg, Russia, but it looks like mike from St. Petersburg, Florida,” Schafer said. “I don't know how to keep track. I don't even know who has access to my information,” said Renshaw. So how do you know if you're a victim? “If you don't have a Twitter or a Facebook account, try to get one, to see if your personal information is already being used,” said Renshaw. Get more info about Facebook. Get more info about Instagram. Get more info on SnapChat. Get more info on Google. Experts say you should also periodically Google your name and your image to see if your info turns up somewhere it shouldn't. Sjouwerman suggests using a Gmail account for marketing applications but says you should use the email address provided by your internet service provider for more confidential applications, like banking. Lori was eventually able to get her email address removed from the bogus Twitter account after Twitter confirmed the fraud. “Either he's ducking us, or he's gone,” she said, after not getting a response in several days. You can follow me at @adamiteam on Twitter or www.facebook.com/AdamWalserITeam .